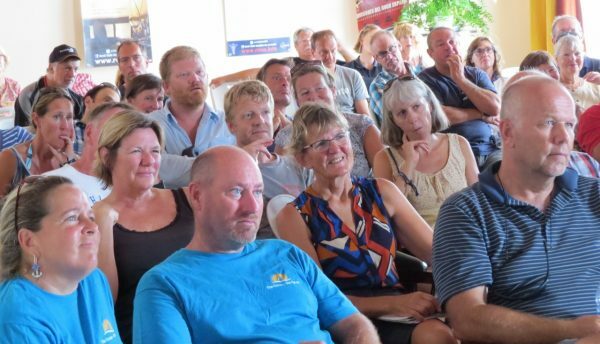 Sailors attending the week of long distance cruising seminars in Lanzarote were full of praise for the speakers and the sponsors for making it happen. 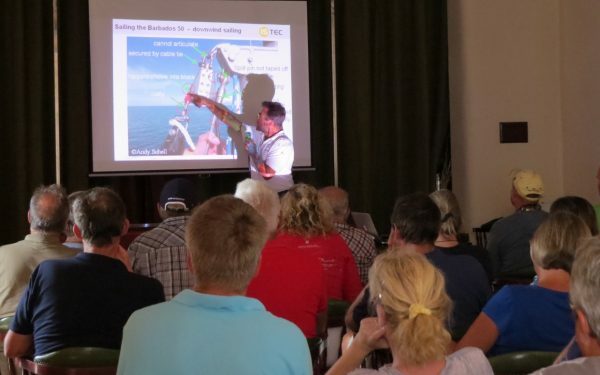 The seminars were free to all sailors who wished to attend, thanks to the sponsorship from the Canary Islands Tourism Promotion Board, the Lanzarote Tourist Board, the European Sports Destination, and Calero Marinas. The sessions ran from Monday 12th September to Friday 16th September, in the imposing venue of the Real Club Nautico de Arrecife, and were well attended on all days. 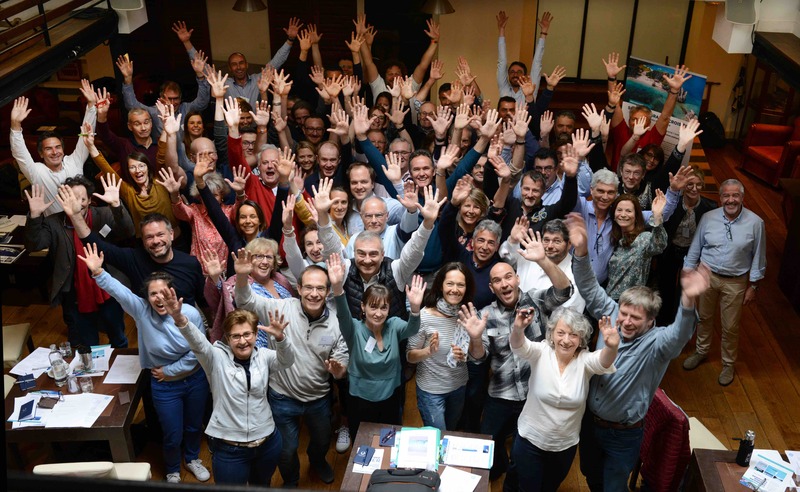 The audience was made up of participants in the Barbados 50 rally, as well as others who were spending longer in Lanzarote, enjoying the balmy Canarian climate and good facilities, before continuing west across the Atlantic. 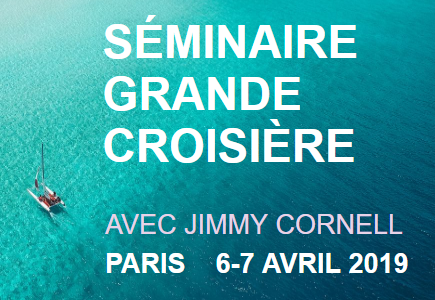 What marked these seminars apart is the high quality of the speakers, who between them have hundreds of thousands of nautical miles and decades of cruising experience under their belts. 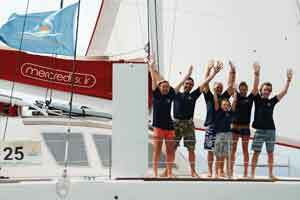 For less experienced sailors such as Barbados 50 participants Jade and William Barnes on White Ibis, this experience was invaluable. Sessions covered a wide range of subjects from essential voyage planning by Jimmy Cornell to practical medical advice from Dr Paolo Casoni, safe diving from Luc Callebaut and communications by Soenke Rover, downwind sailing from Thomas Wibberenz, and an insight into growing up on a boat as a family from Jimmy’s daughter Doina. Seminars took place in English, with special slots allocated for French and German sailors also, to reflect the wide range of nationalities present. 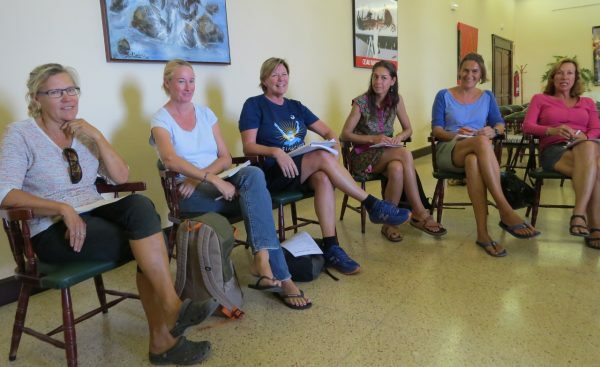 The women’s forum was popular as sailing women shared their experiences and concerns about life onboard a small boat. 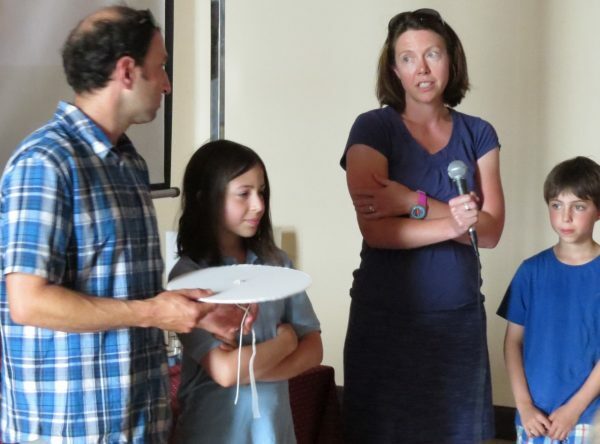 The week concluded with a special presentation in Spanish by Jimmy Cornell on his sailing expeditions to the Antarctic and Arctic, which was very well received by the local Canarian audience. 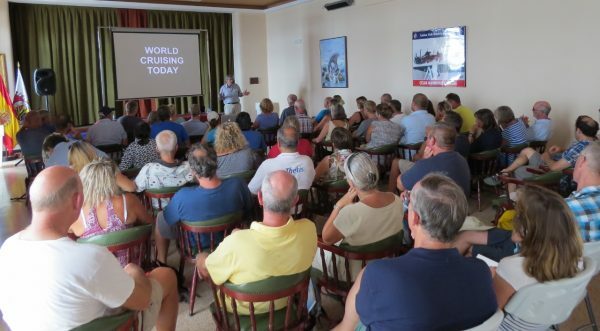 The Lanzarote Long Distance Cruising Seminar week was sponsored by Promotur Turismo Canarias, the Patronato de Turismo de Lanzarote, the Lanzarote European Sports Destination, and Calero Marinas, and kindly hosted by the Real Club Nautico de Arrecife.